The records of Christian martyrology are luminous with deeds of splendid daring and magnificent courage, but few have eclipsed the quiet, patient suffering of the subject of this memoir. The last three years of her life were years of terrible agony, but no word of murmur or complaint escaped her lips. She conquered pain by supreme contentment and simple trust in God. At the comparatively early age of forty-two she “fell asleep in Jesus,” and on Sunday, May 13th, 1907, we laid her body to rest in Mere Knolls Cemetery, Sunderland. 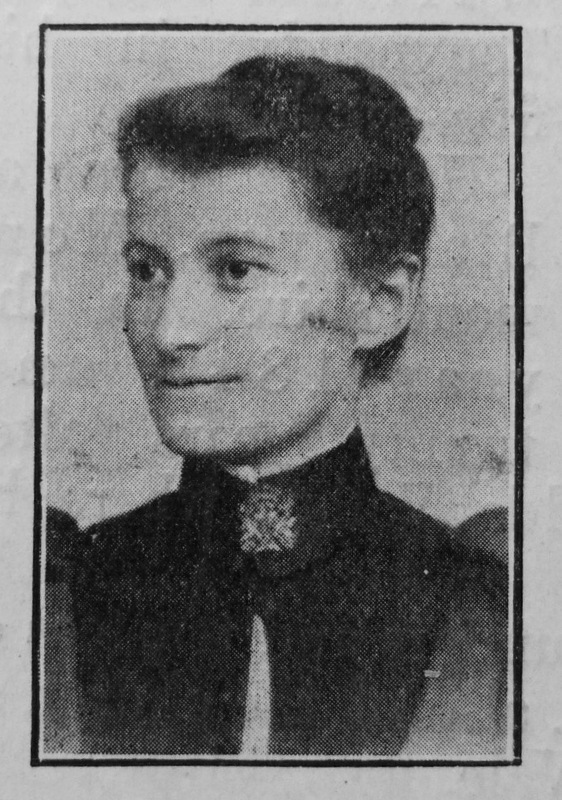 Her aged father and mother (Mr. and Mrs. Carter, of Haltwhistle), have lost a daughter of whom any parents might be honourably proud; her husband misses a fine, devoted wife, and scores of friends have lost the presence of one of the finest types of Christian womanhood that it is possible to imagine. Emma was born abt 1865 at Whitchurch, nr Tavistock, Devon, to parents William and Harriet. The family moved to Co. Durham, where William became a coal miner, when Emma was very young. Before her marriage Emma worked as a domestic servant (1881) and dressmaker (1891). She married Alexander Smith (abt1869-1942), a cool miner, in late 1892 in the Durham Registration District, Co. Durham.